Merton Windows is a family-run business that supplies and fits high-quality windows, doors and conservatories to homes and businesses in Southfields, SW18 and further afield. Stunning looks, lasting performance, high security and energy efficiency are the key ingredients in our A-rated double-glazed and triple-glazed windows. By investing in our windows you will not only increase the value of your home but will also lower your heating bills, saving you money. 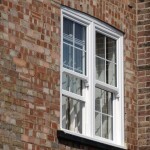 A brilliant range to choose from and we take great care in designing the right window to suit your home and requirements. From vertical sliders and casement windows, to aluminium and timber windows, our range caters for every taste and style of home. A-rated windows for superb energy efficiency, so you save hundreds of pounds on your fuel bills every year and stay warm through the cold winters. Our windows are safe and secure and come with improved locking mechanisms. With a million attempted burglaries in the UK, you can feel confident that your home is as secure as it can be. Guaranteed durability: Our windows have been tried and tested and we are so confident they will last that we offer a 10-year guarantee on all our window installations. Get a free quote today by ringing our friendly team on 0208 542 2233. 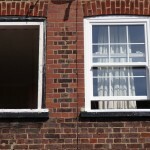 What are the benefits of replacing my sash or casement windows in Southfields? Having the right type of windows can really add character and style to any room, whether you need a practical window for a bathroom or a stunning box sash window for the front of a Victoria villa. New windows will make your home look brighter inside and will give it a more polished and cleaner look from the outside. There are many styles to choose from and different materials available and each has its own set of merits to consider. 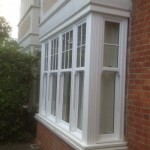 Here at Merton Windows, we can help you make decisions about the style, look and feel you are after within your budget. 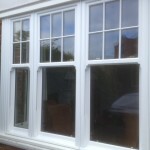 We will ensure the windows you choose will complement your home from the inside and the outside. Energy efficient windows will help insulate your home, so in the winter you will stay warm and in the summer you will remain cool. By installing A-rated double glazing into a detached house you could save up to £160 per year. Replacement windows will also be more airtight, so ventilation will be improved and there will be no problems with condensation. All these features mean you will see a return on your investment. 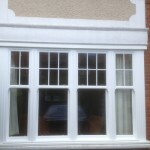 Your new windows will never need repainting and will be so low maintenance that they will look brand new for many years. 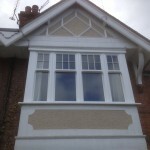 Thinking about new sash, timber or aluminium windows in Southfields? Then get in touch! If you are thinking of having new windows fitted or would like to talk to us about our range of doors or adding a conservatory to your home, please contact us for a free consultation. Our number is 0208 542 2233 or we can be reached by email at [email protected] or by fax on 020 8390 8815.